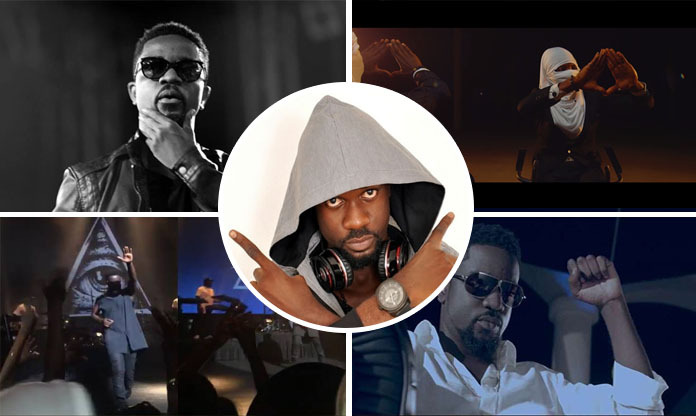 Ghanaian musician Michael Owusu Addo, popularly known as Sarkodie is alleged to be a member of the world’s cult ‘illuminati’ by the media. Although, the reportage seemed worrisome, the fine rapper didn’t come out on any day to refute or confirm the allegation by the media. Evangelist Emmanuel Addai, in one of his filmed videos also tagged Sarkodie as member of the illuminati and yet Sarkodie remained mute on it. Today, a video popped up on Youtube confirming the rapper as illuminati citing his recently launched HIGHEST album.